NSLEO is a provincial consumer organization dedicated to promoting the abilities of persons with disabilities so they may function as equals in society. They provide information and referral services to all Nova Scotians regarding disability issues and available programs and services and work with government and the community to ensure the issues faced by all persons with disabilities are heard and addressed by all levels of government and by our communities. 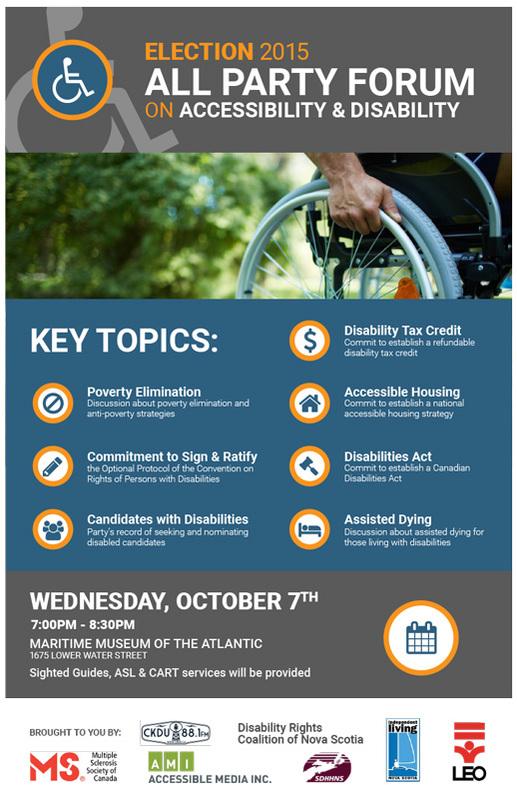 We’ve done a number of small jobs for NSLEO including this poster for the disabilities issues debate they co-hosted during the 2015 federal election.